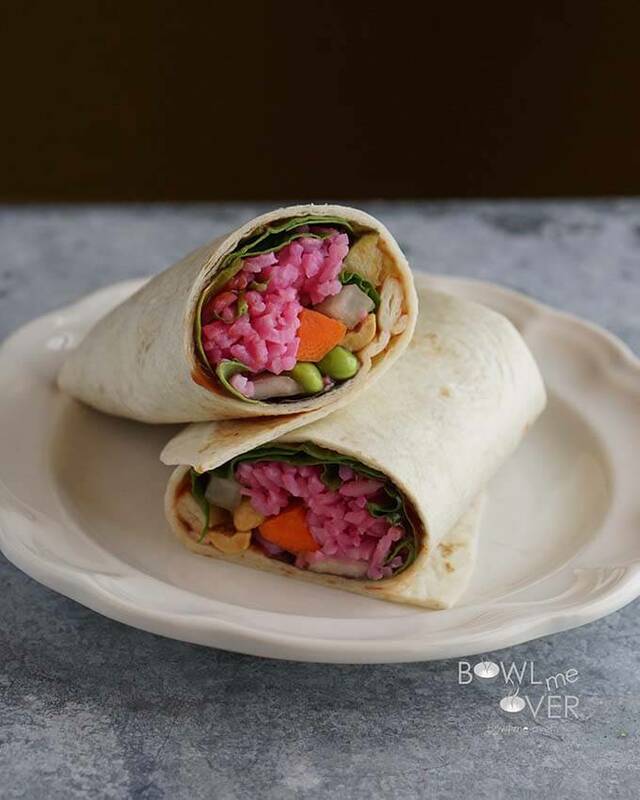 Ok….If I can’t talk you into Green Eggs and Ham…how about Red Rice Thai Wraps? 😀 I was hoping that introduction would get your attention! I have a group of friends in Sacramento. We’d get together whenever in town and usually met at a wonderful spot in Rancho Cordova Ca., Little Budha Thai Restaurant. Excellent food, we’d always get a variety of things, but there was always a staple and that was their vegetarian Thai Wraps. Red rice, spinach, fried tofu with a few other ingredients – I’d scratch my head each time I’d eat it wondering how they made it. Well…..I nailed it! Changed it up just a bit by ommitting the tofu and adding endamame and peanuts for protein and it is soooo good! Start by making the red rice. It’s very simple one cup of rice made the standard way – one part rice to two parts water. When the rice is done, add 1/4 cup of beet juice from canned beets (reserve the beets for use another day) and 1/2 teaspoon of salt. Mix well to combine. The remaining ingredients are tortillas, plum sauce, spinach or mixed salad greens, Sweet Pickle Spears (check out my recipe), endamame and peanuts. Spread each tortilla with a smear of plum sauce, and pile the ingredients on top. Wrap it just like you would a burrito, turning in the sides to seal and then rolling it up. 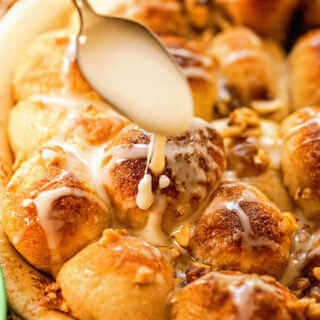 These are delicious warm or cold! Super fun #MeatlessMonday meal! 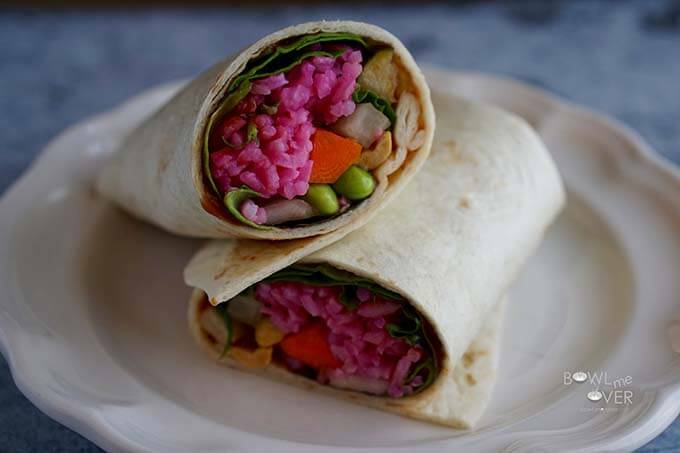 Red Rice Thai Wrap #MeatlessMonday - food doesn't have to be just delicious, it can be fun too! 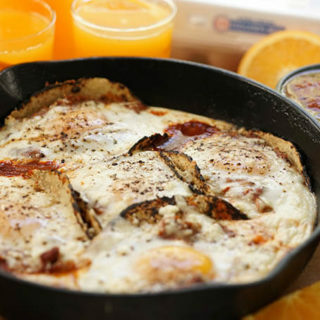 Love this easy meal full of flavor too! t **optional shortcut** if you don' want to make your own sweet pickles substitute with pickled beets julienned then you can also use the juice to color/flavor the rice. Make the rice according to package directions. When the rice is done, add 1/2 teaspoon salt and 1/2 cup beet juice. Stir well to combine. 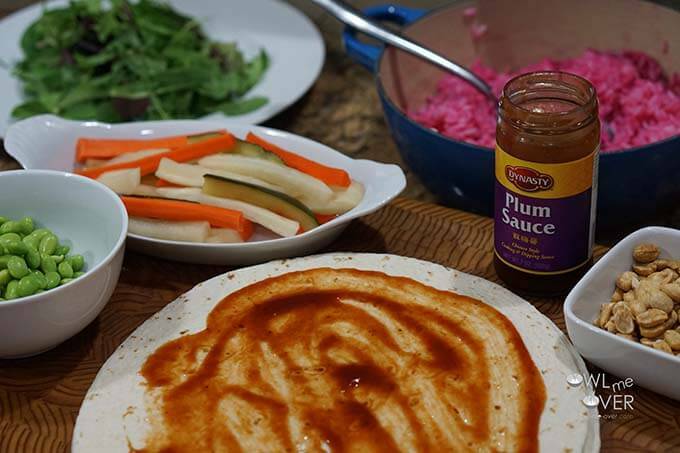 Then simply layer the ingredients onto a soft tortilla shell, beginning with the plum sauce. Then add a cup of spinach. Generously spread on the rice, about 3/4 of a cup. Add 5-6 Sweet Pickle Spears, 1/4 edamame and 1/4 cup salted peanuts per wrap. If desired top with Sriracha Sauce. 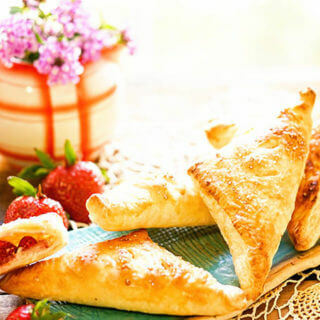 Roll up the wraps - begin by folding the edges over and then roll them up tightly like a burrito. 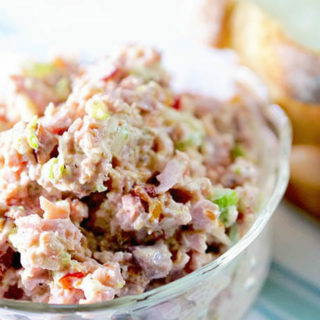 Can be served warm or cold - perfect for lunch or a picnic! Doesn’t this look just great. Ah these are awesome! Way to make “red rice” without using actual red rice, haha! 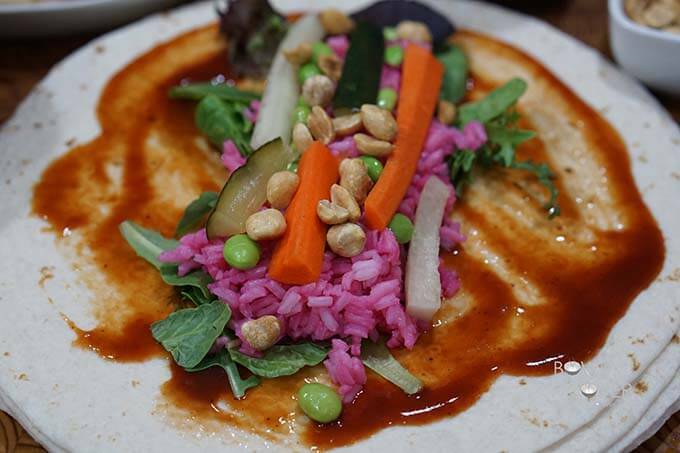 The beets give the rice a really great flavor, lots of sweetness! Enjoy Rebecca! I love the color from the beet juice. Thai food is a favorite of mine and this sounds marvelous. Thanks Christie, I hope you give it a try! I love the idea of using beet juice to make rice red/pink. My kids would absolutely love it for the color and I love anything with beets in it so I look forward to trying this method out! Awesome, I hope you & the kids really enjoy this Emily! I love that the wrap!!! How gorgeous!!!! Great Nic – I hope you give it a try! Whoa! That looks cool 🙂 I love the colors! Thanks Gigi!! Sure appreciate you stopping by! I’ve always thought that rice always looked drab and boring in a dish. 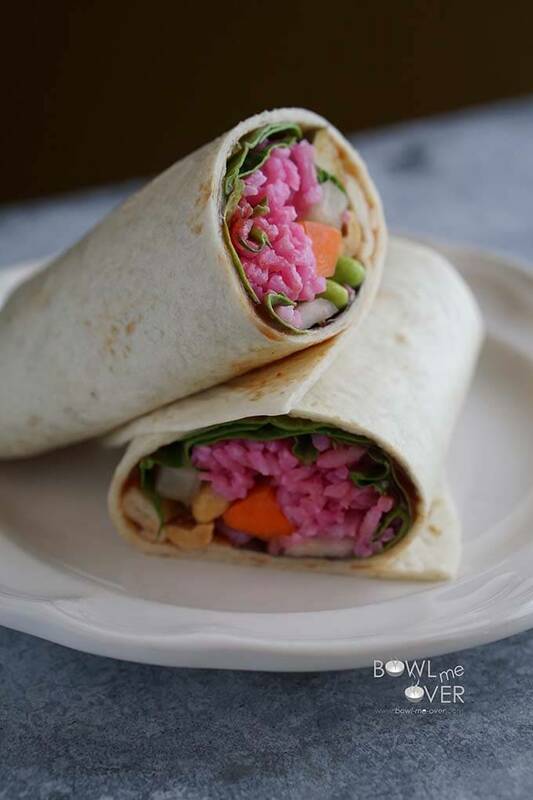 This has inspired me to make colored rice a focal point of a dish or two for a very artistic presentation! Thanks Sabrina – totally agree! It’s such a blank canvas and since we all eat with our eyes first….perfect to make a delicious focal point!! Thank you Camilla! I hope you give it a try!! these are absolutely gorgeous, super colorful and delicious! Love it girl!! Thanks so much my friend!!! LOVE these wraps, hits all the right bases!! 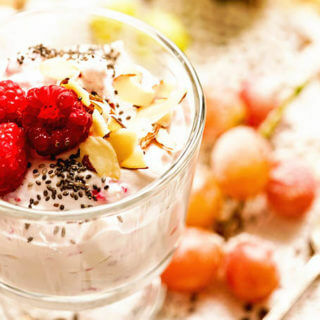 What a fantastic meatless treat! Love the red rice and it all looks so fresh and flavourful! 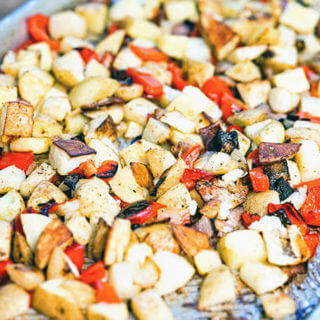 Love the flavors and colors of this dish! This is beautiful! I love the creativity here! 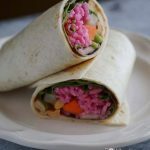 This wrap is so delicious and colorful with full of goodness, thanks for sharing with Hearth and soul blog hop, pinning. You are very welcome! I hope you give it a try, we really enjoyed this wrap! I like that you used natural beet juice for coloring. These look great! This is perfect for #meatlessmonday! Love it!